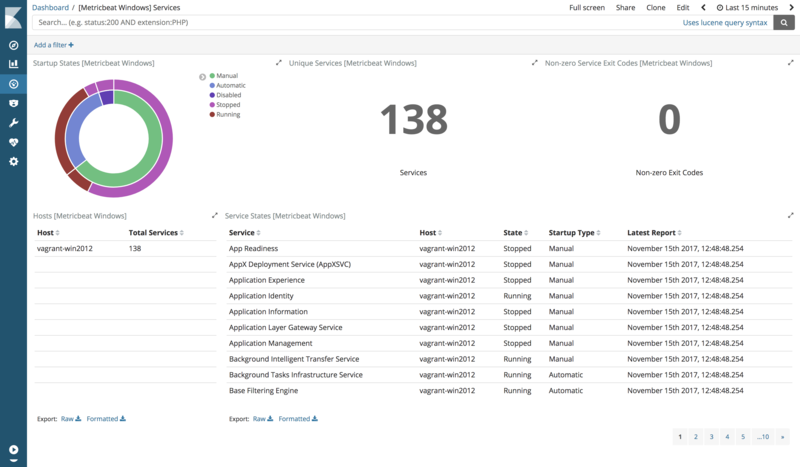 The service metricset of the Windows module reads the status of Windows services. Processors can be used to filter the events based on the service states or their names. The example below configures the metricset to drop all events except for the events for the firewall service. See Filter and enhance the exported data for more information about using processors.